Getting sick and being confined in a medical facility is one of my dreaded experiences. I have been to a hospital a couple of times and trust me, you will not like it. Aside from the needles and medicines that you have to painstakingly take, before your release you’ll have to pay your bills. The same scenario goes when you buy medicinal drugs at the pharmacy. You have to secure a receipt examples for all the things you purchased. It is both the seller’s and the buyer’s responsibility to secure one. However, knowing the many kinds of medical receipts will help us in identifying their differences. What Is a Medical Receipt? 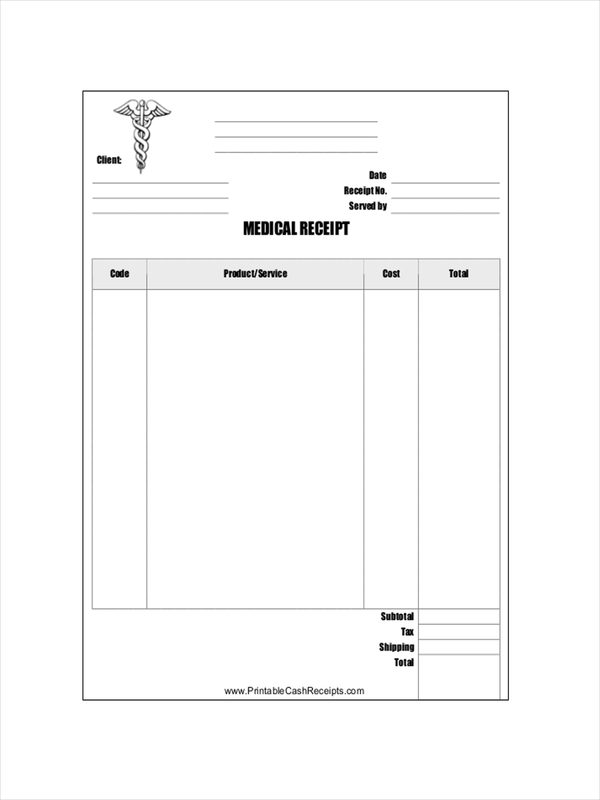 A medical receipt is a piece of document that contains a detailed and itemized list of any medical supplies, drugs, and services purchased or availed in a pharmacy or any medical facility. They are usually provided for patient’s reference by any accredited physicians or pharmacists. Just like any receipt such as restaurant receipts and school receipts, the goods or services availed should be itemized with their corresponding prices as well as the customer’s name. These are just some of the essential components that can be found in a normal receipt. They can also come in different formats like Word and PDF. 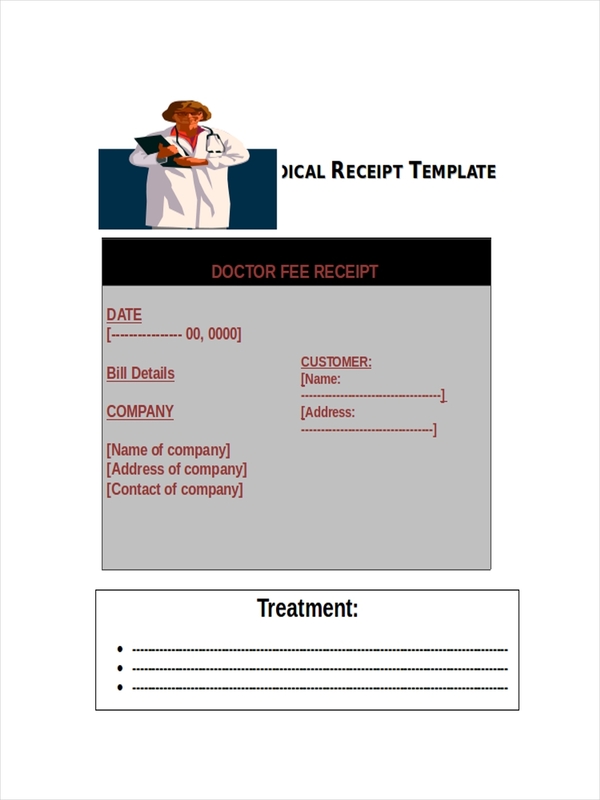 Writing a medical receipt is considered by some as one of the basic types of receipts. 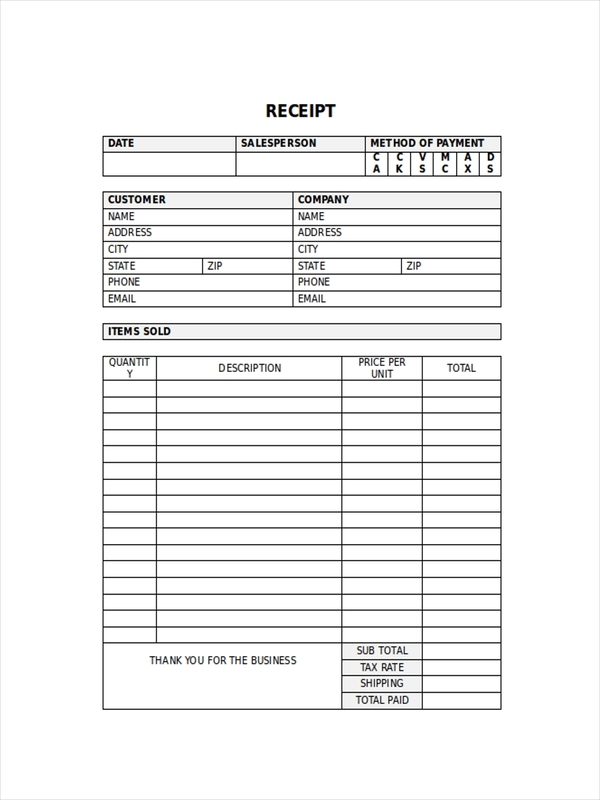 There isn’t anything much to add except the vital elements of a receipt examples. Write the seller’s information. You can start by writing the business name and salesperson’s name as well as the address and contact number. Add the customer’s details. 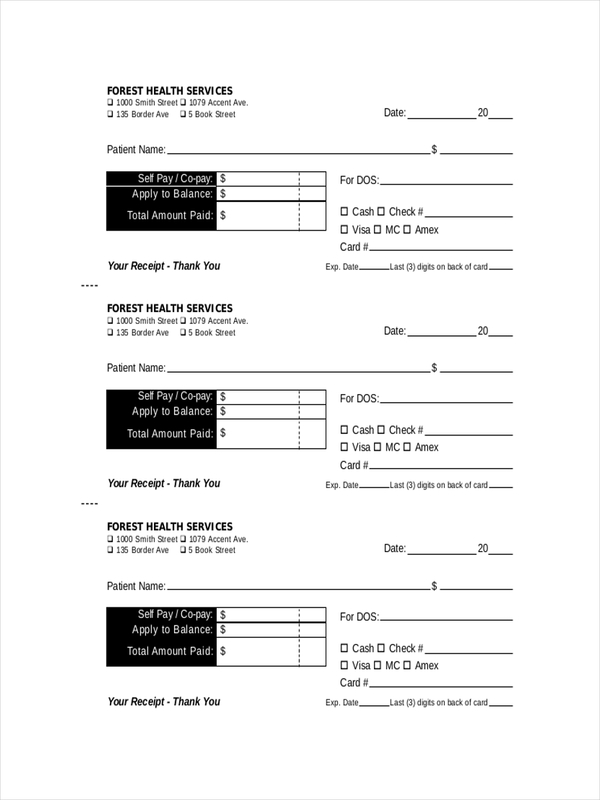 Some patients or customers are specific with their medical receipts for proper bookkeeping. So make sure to write their full details from the name to their address and contact details. Include the goods and services. Never ever forget to write or at least leave a space for the goods and services availed. When writing a medical receipt, you need to be equipped with the right skills and experience. Proficiency with information is important just like in a deposit receipt. DO observe proper outline. It is important that your medical receipt should look professional. Always use proper and neat outline. DON’T overload the receipt. Try not to put all the information in one page. If the items are too many, use a separate sheet for the rest of the items. DO check for errors. Always check the receipt for any errors or overcharges. DON’T use fuzzy fonts. Make sure your receipt is understandable. Use fonts that can easily be read. If you have been working in the medical field for quite some time, it should be easy for you to identify what are the things to include in a medical receipts. If not, here are some useful tips for you. Consider the patient or customer. 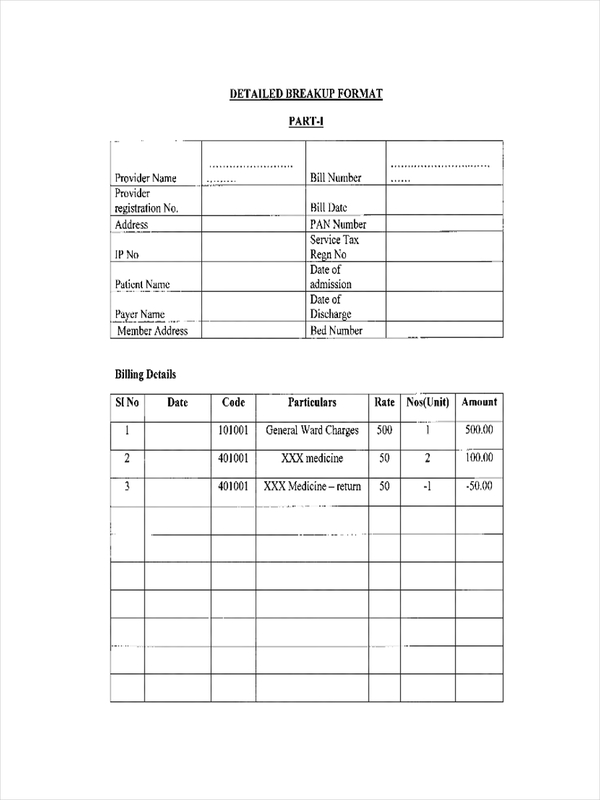 When making a medical receipt, always put in mind that your medical knowledge is different from that of the customer. Situate yourself in their shoes. Use blank templates. Since we are in an era where using the World Wide Web is just a normal daily activity, look for some free receipt templates you can use as your guide. Review the details. Before giving or printing the receipt, make it a habit to review it first to check for any wrong information.